Hello. My local craft shop is selling off all their wood mounted stamps half price. They have quite a few Penny Blacks so some of them came home with me, including this one! I do love the original PB's - cats, hedgies, bears and the rest. Probably because they lend themselves best to watercolouring - my very favourite way of colouring. I think I have made a card using a layout similar to this one before - I am loving white space at the mo'. 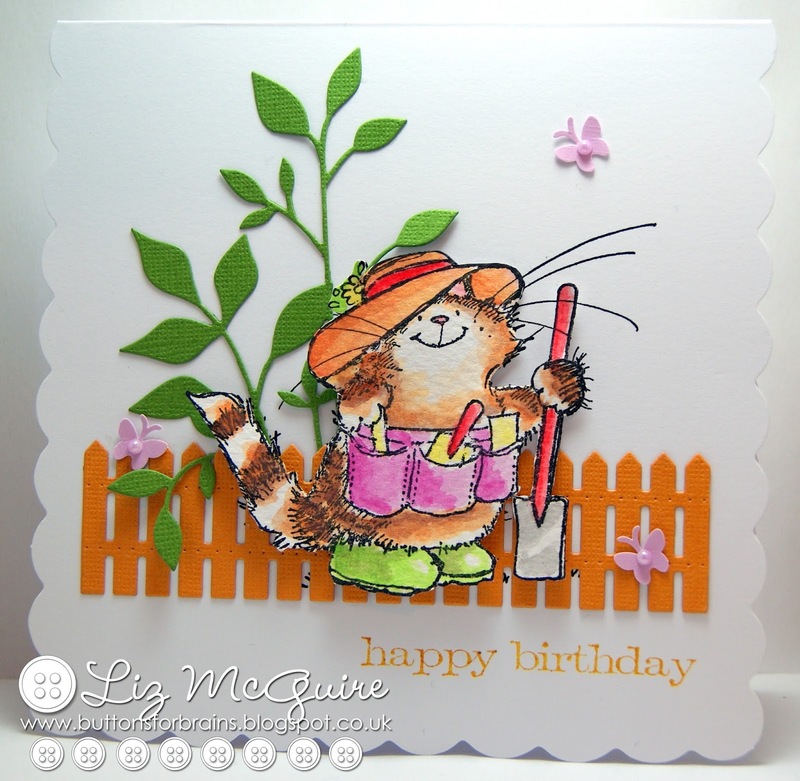 I am entering the 'anything goes' challenge over at Cute Card Thursday. Gorgeous as ever! You always colour beautifully whatever medium you use. I love my watercolour pencils too and don't know why I've neglected them for so long. Such a sweet card Liz. I have some of these PB stamps, and I think it would be a great idea to try colouring them with my new Aquamarkers. Your card also fits the themes of the new challenges at Penny Black and More and Penny Black Saturday challenge. Can't believe your LCS is selling off the wooden PB's at half price. Amazing! Gorgeous card Liz. I love that cute image, fabulous colouring and the layout is brilliant too. Fabulous, love the gorgeous colours and great design! I think (sadly) so many people are turning away from the wood mount (because of cost and space/storage issues) that they may soon become a thing of the past. I still love rubber on wood myself! The PB hedgies have always been a favorite of mine. That is one cute image! What lovely colouring, and the fence and the tiny butterflies look terrific, too! Gorgeous!